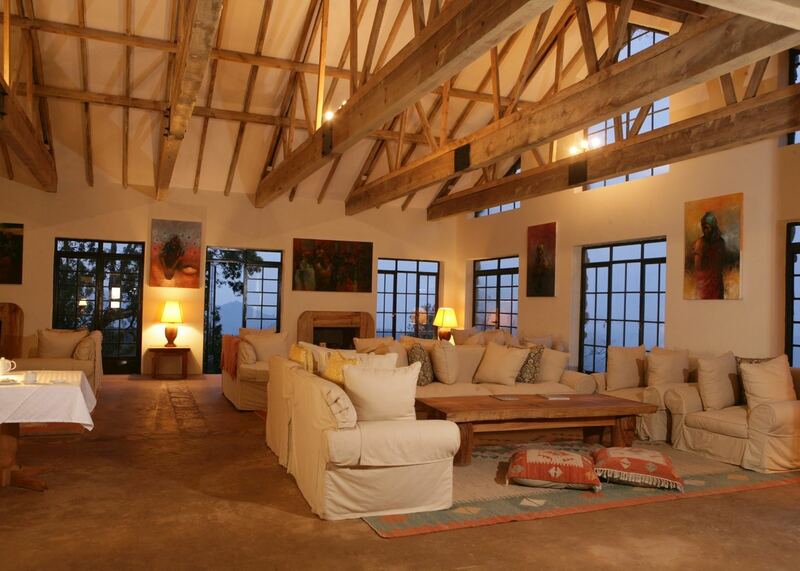 Clouds Mountain Gorilla Lodge is new luxurious accommodation in a beautiful position in the southern part of Bwindi National Park. From here you can go gorilla tracking. 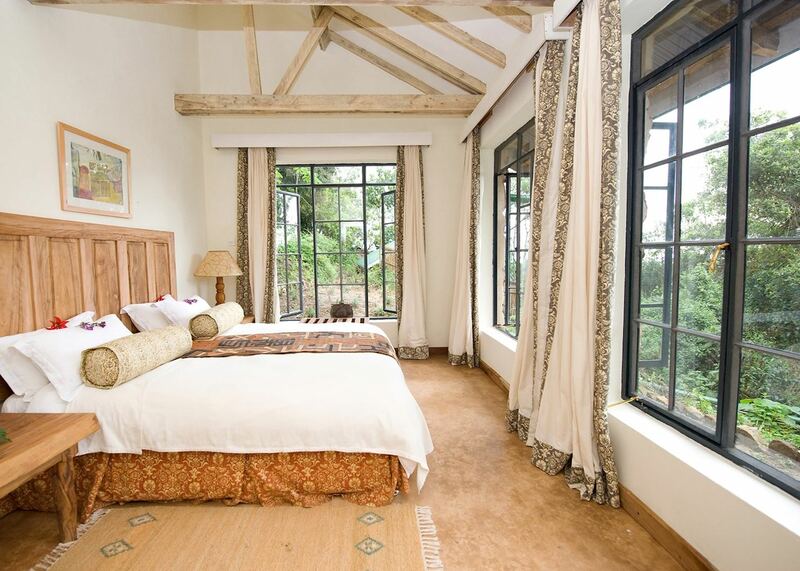 Clouds Mountain Gorilla Lodge is a lovely new luxury option in the southern part of Bwindi National Park. There are ten stone cottages, each featuring a spacious bedroom, lounge area and an en suite bathroom with a shower. A fireplace links the bedroom and lounge ensuring the rooms are kept cosy and warm in the cool evenings, and all of the rooms boast dramatic views of the Virunga Volcanoes beyond. Food is cooked using local produce and the main lodge facilities include a cosy library and lounge area, a lush botanical garden and sheltered verandahs where you can relax with a cup of tea enjoying the amazing views. High ceilings, pale canvas furnishings and pale wooden beams really maximise the sense of space and grandeur in the main lodge area, befitting the amazing location perfectly. The lodge directly assists the local Nkuringo community through a development fund, ensuring the local population can benefit from jobs and support from the lodge. 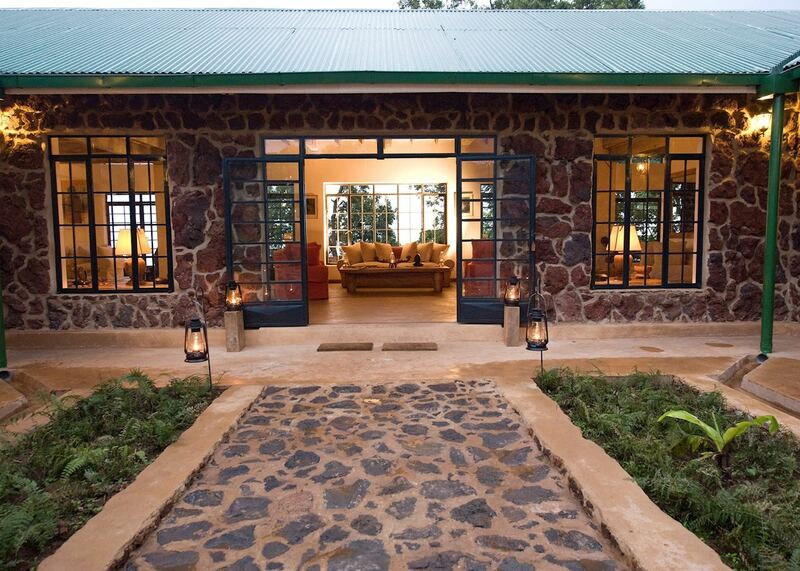 A major advantage with this lodge is that guests can walk from their cottage to the trailhead where they will start and end their gorilla tracking day, making it superbly located in this part of the park. 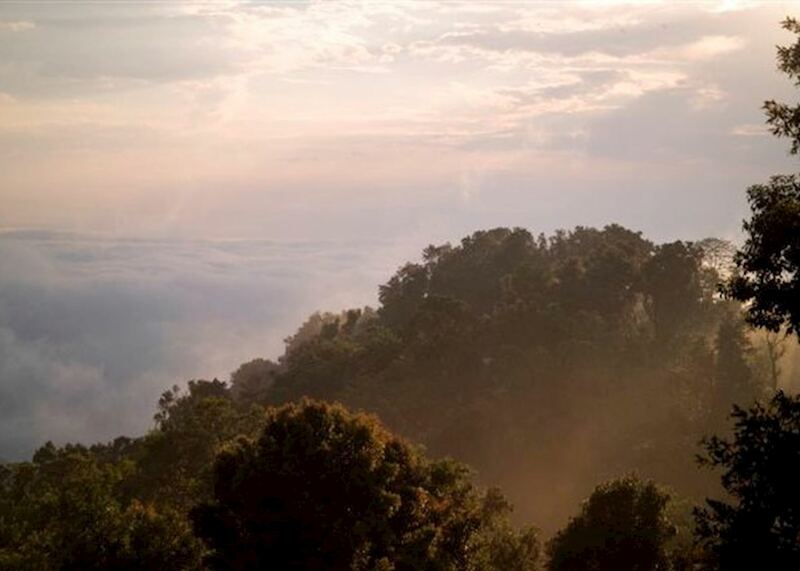 Please note that the Nkuringo group of gorillas which is the group that visitors will track from Clouds Lodge is a challenging group of gorillas to visit, and the walk may take at least four hours to reach the group. of our Uganda clients would recommend us to a friend. Where possible, we like to offer a range of accommodation for each stop of your trip, chosen by our specialists as some of their favourite places to stay. To help you make the right choice, we give each property a rating based on its facilities and service, but we also look for hotels with distinct character or a location that can’t be bettered. This is a great option for your stay for gorilla tracking, as it's only a stone's throw from the park headquarters where you start and end your trek. 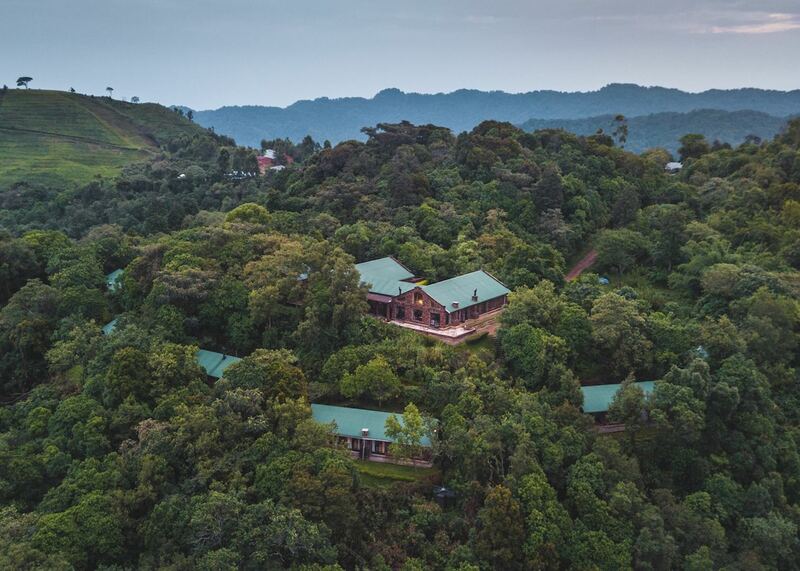 Bwindi Lodge is an attractive eco-friendly lodge set on a steep hillside amidst lush vegetation just outside the border of Bwindi Forest. There are eight comfortable bandas with great views. The service is excellent and the food is outstanding. 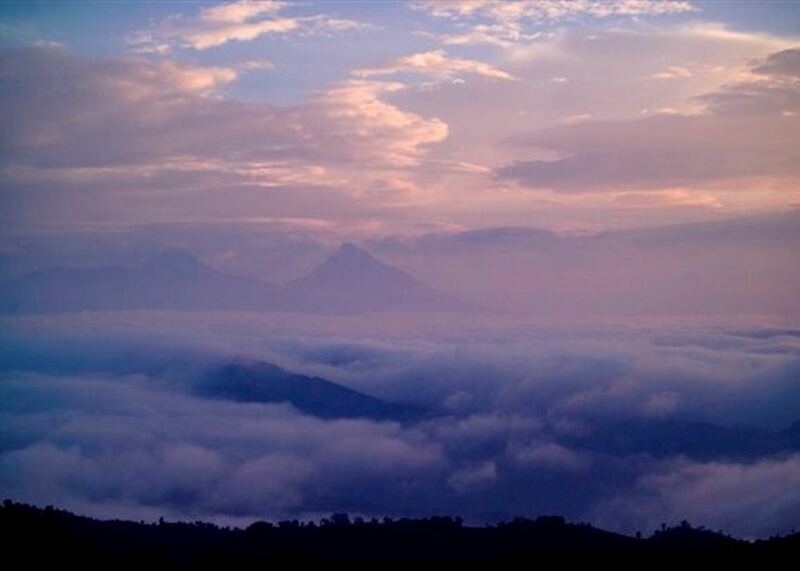 There are some lovely views from the main lodge and overall it's an excellent camp within easy reach of the departure point for gorilla trekking. 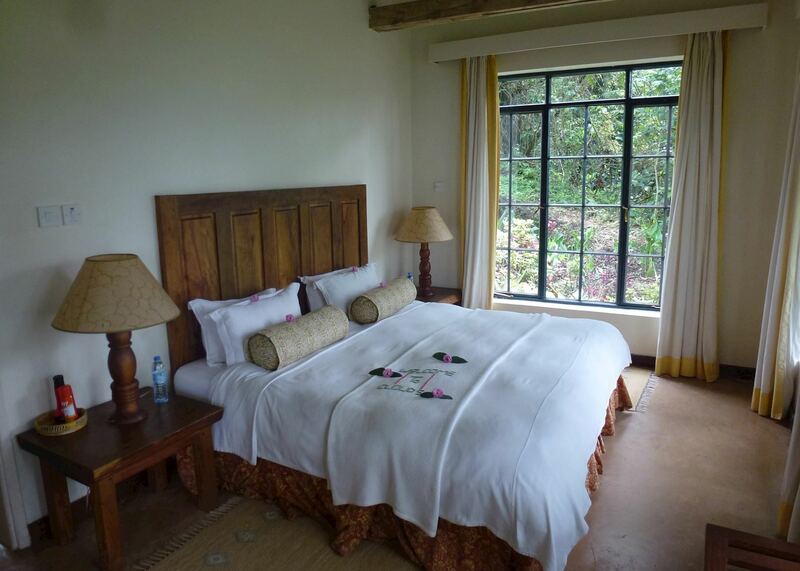 This small lodge is situated overlooking the Bwindi Impenetrable Forest, close to the Munyanga River. All of the rooms are suite, most are superior suites and there is one presidential suite which has two ensuite bedrooms, making it ideal for families. 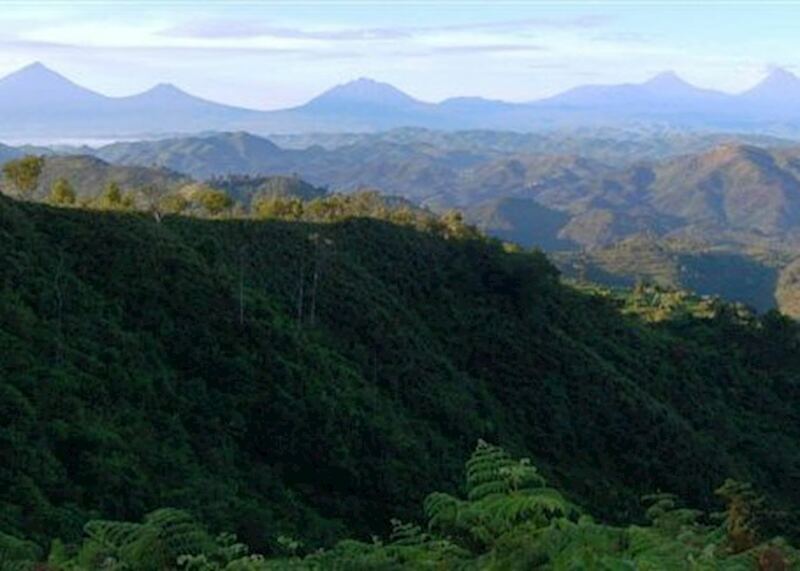 Tracking Mountain gorilla is one of Africa's most superb wildlife experiences. It is difficult to describe the exhilaration attached to first setting eyes on a wild mountain gorilla.